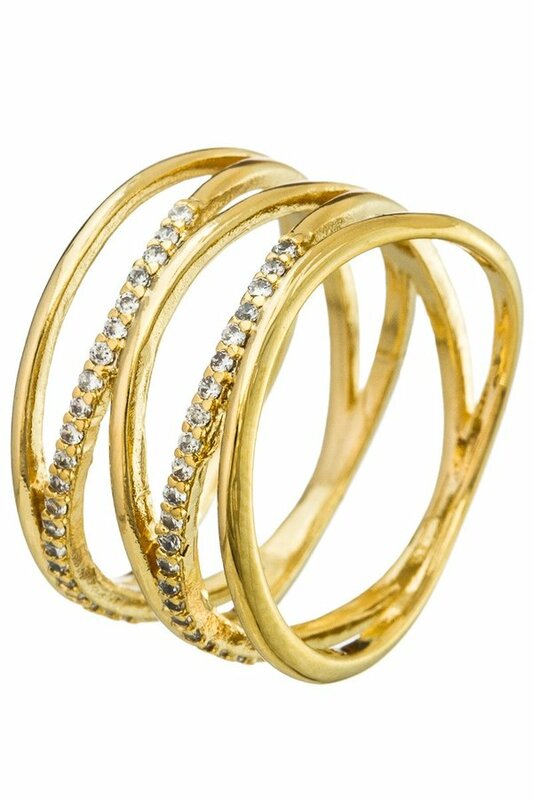 Description: Criss cross brass ring with CZ accents. Approx. 0.5" wide. Size 7.